I have been on a viking inspired art frenzy recently. I am really enjoying the process of choosing an art theme and sticking with it. I like to make 6 designs per theme. So I have one to go with vikings. Viking armor, battle ax, wooden shield and a good splatter of blood. A raven standing on a human skull. Blue, as if lit by the moon. The Norse raven banner. Frigg, Odin, Thor, Loki, Baldr. I know, its Icelandic, not Norse. The Runic Compass. Vegvisir illustration. 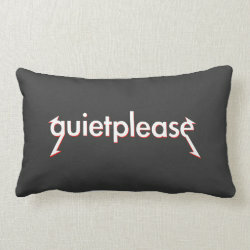 Silence, I'm about to rock! 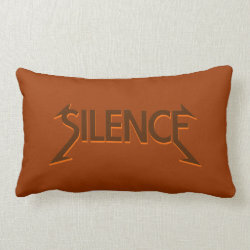 Silence | I’m about to rock. A fun take on a heavy metal album cover. The text is written is block letters with lightening blots coming from the end letters. White, grey and red text on a black background. A humorous, geek design. These designs are for sale in my Society6 store. Rock n roll life style polyvore set. Give me fire. This rock'n polyvore set includes the below items from zazzle. Fire, stove poster by brass and fire and Jolly roger necklace by mailbox disco. This polyvore set features products from my zazzle stores, see the links below. 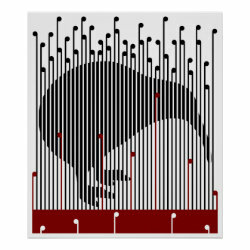 The Kiwi in the Raupo poster is my newest design.